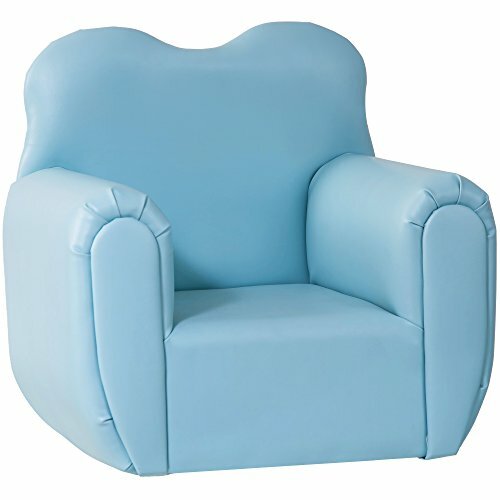 Harper&Bright Designs PP038175 Kids Sofa Children Armrest Chair, 19.7'' L x13.8 W x 19.7'' H, Blue by Harper&Bright Designs at Indsight. MPN: PP03817. Hurry! Limited time offer. Offer valid only while supplies last. This Harper&Bright Designs Kids Sofa is designed for most children. It features with its thick covers. Bright color makes it more attractive. This Harper&Bright Designs Kids Sofa is designed for most children. It features with its thick covers. Bright color makes it more attractive. Equipped with soft, easy to clean leather is available in your choice so you could easily match your dcor. Wooden frame gives this sofa an authentic furniture look and make it more stable. All the quality is promised. [Sweet Design] Beautiful wavy back design is stylish and cute.